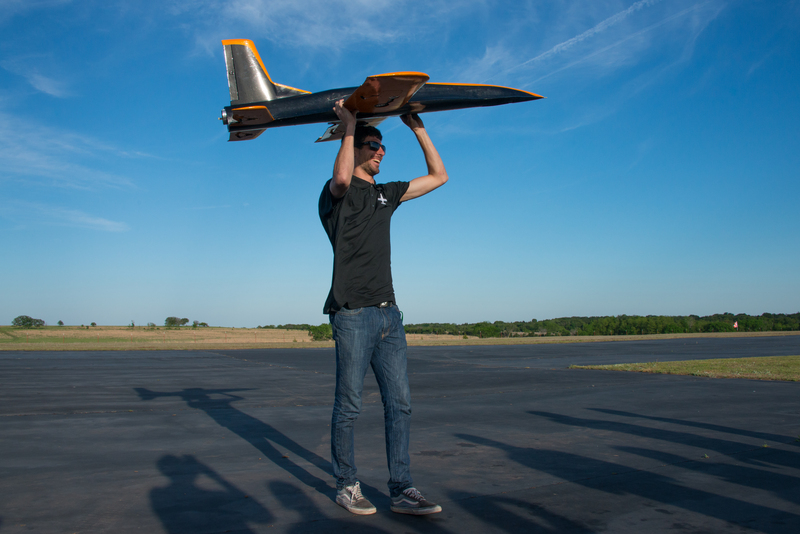 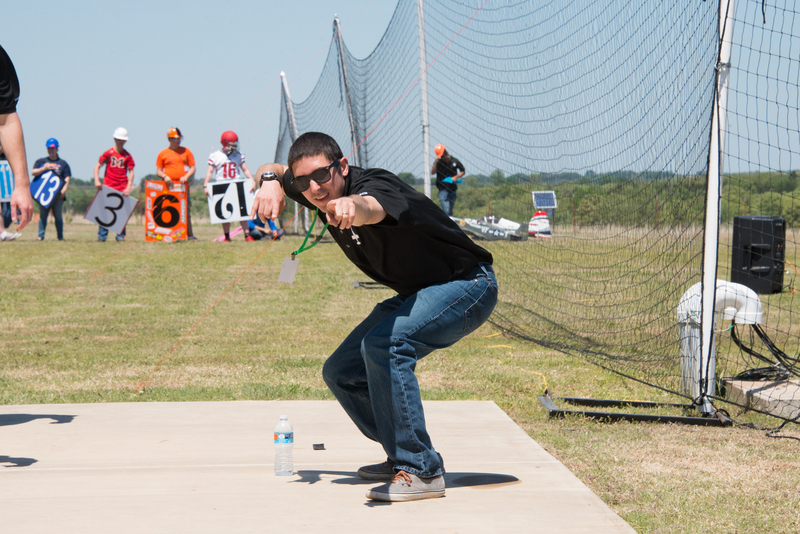 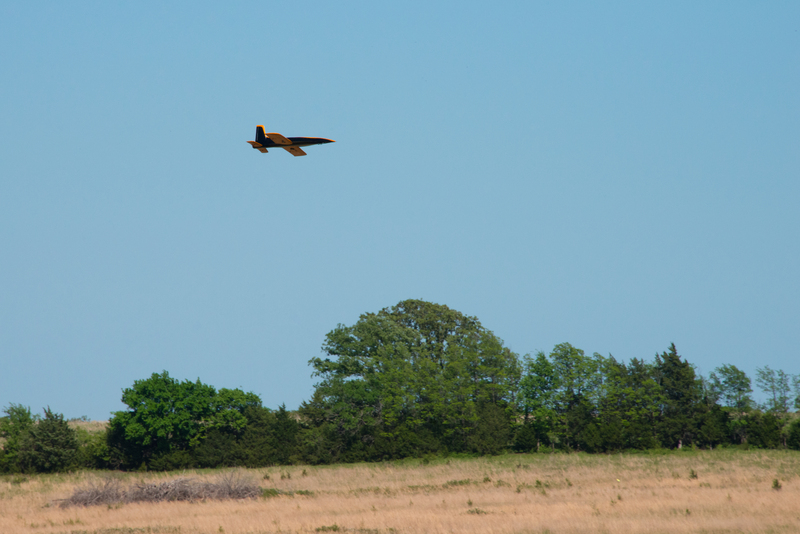 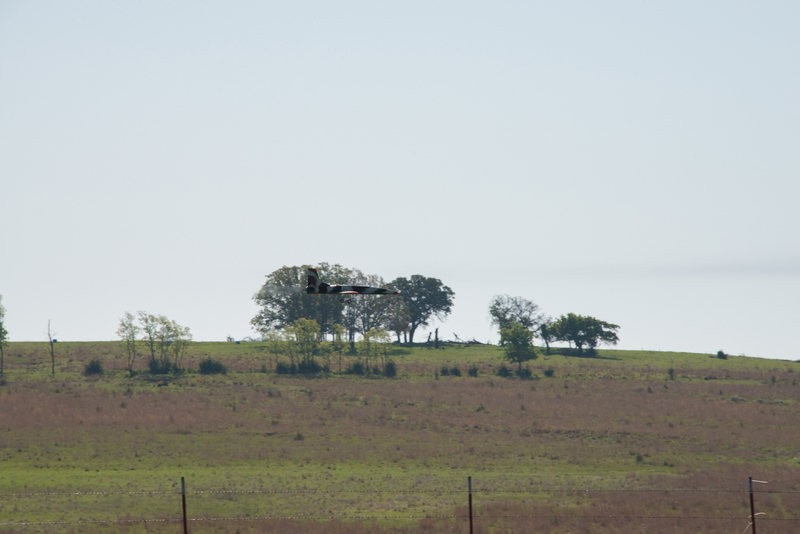 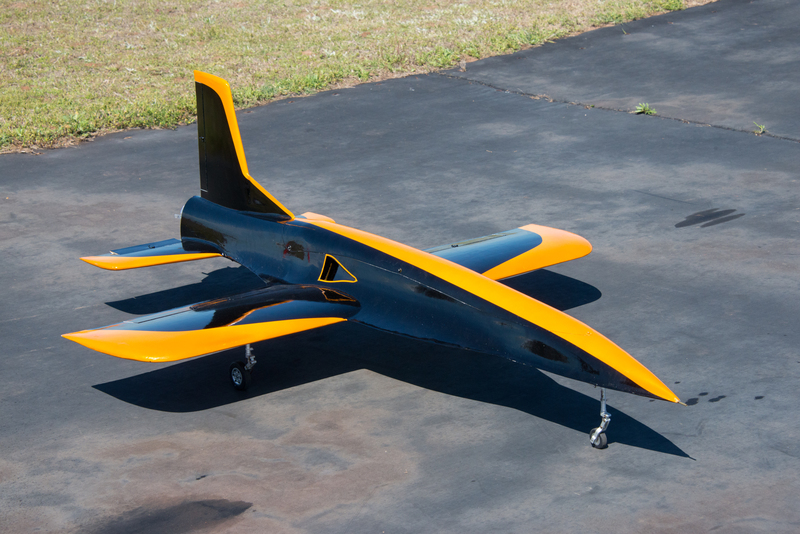 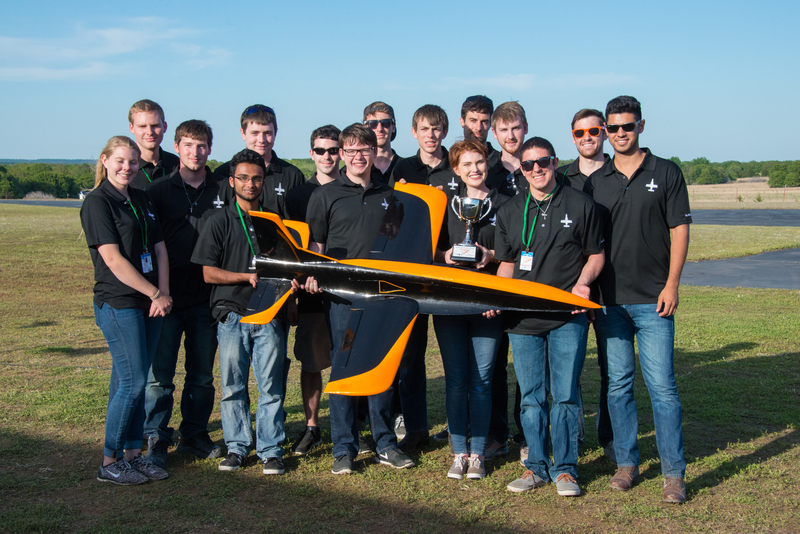 The Black Team 2016 "Obsidian" design arose from a challenge to build the first ever Jet Engine RC Aircraft at Oklahoma State University. 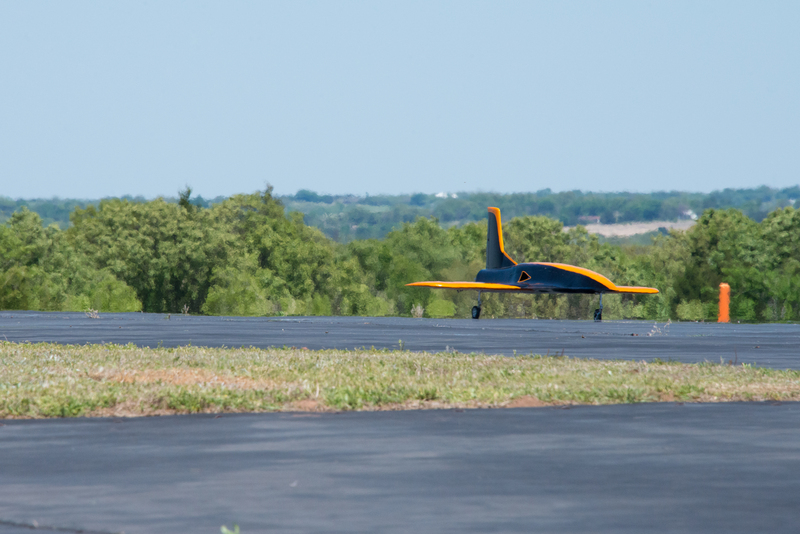 Obsidian features two very different configurations to meet the needs of both those seeking to use the jet as a trainer and as a sport jet. 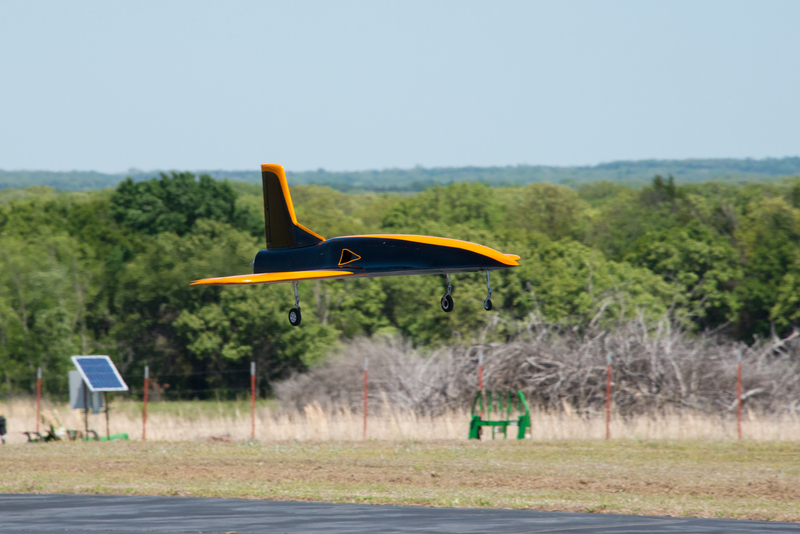 Featuring high stall forgiving characterstics due to the Leading Edge Extension,LEX, and Chine features as well as an implemented gyro to dampen sudden handling changes. 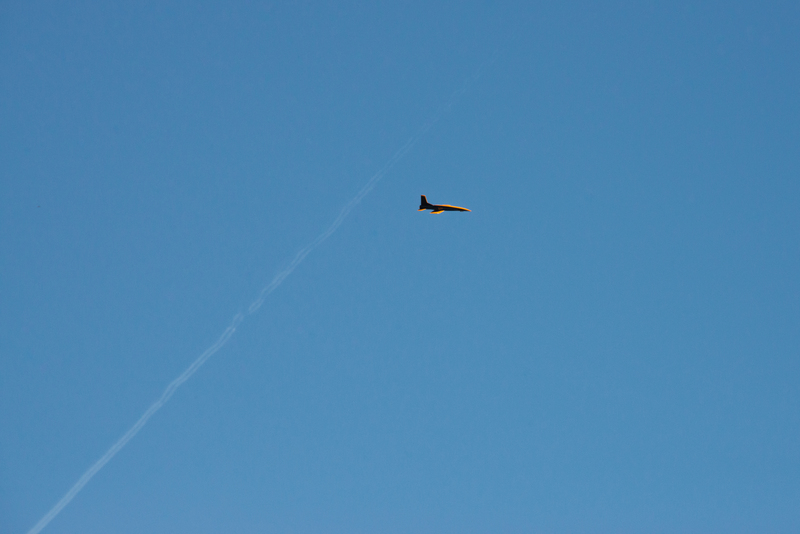 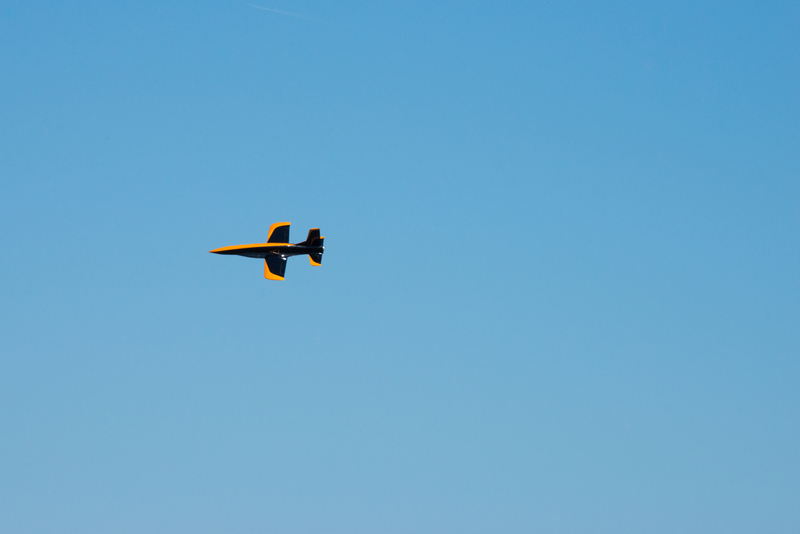 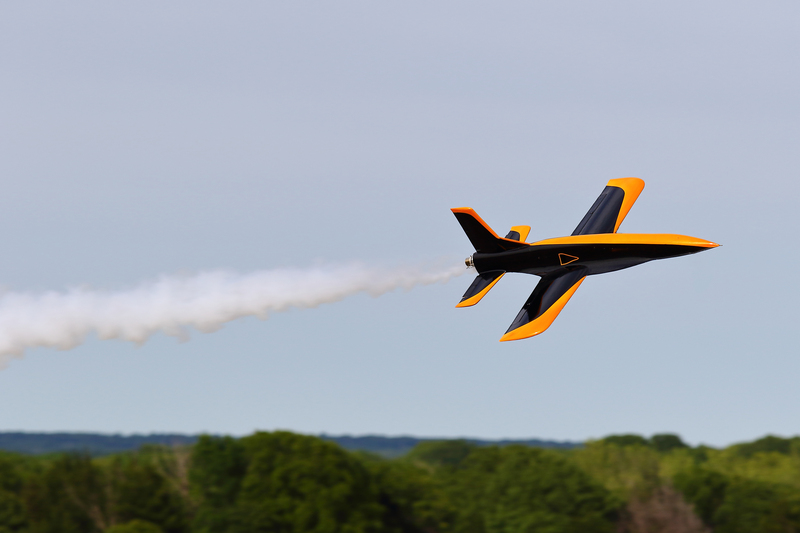 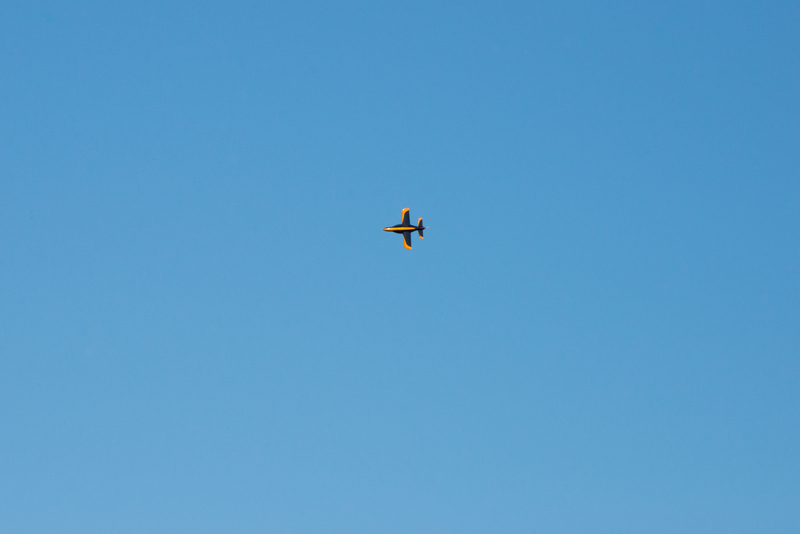 The Sport Jet features optional smoke and vectored thrust which combined with the Leading Edge Extension for high angle of attack creates a high maneuverability and acrobatic jet. 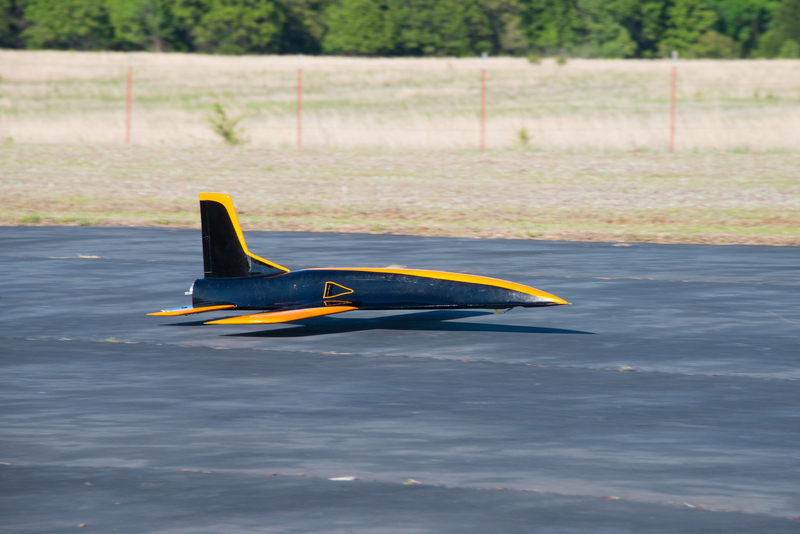 Using these capabilities, "Obsidian" was designed to excell in several categories of the competition: the large wing area was designed for a tight turn radius in the pylon race, the LEX and thrust vectoring to achieve extremely slow speeds resulting for the speed ratio category, and finally the sport jet configuration for precision aeroabtics and best of show. 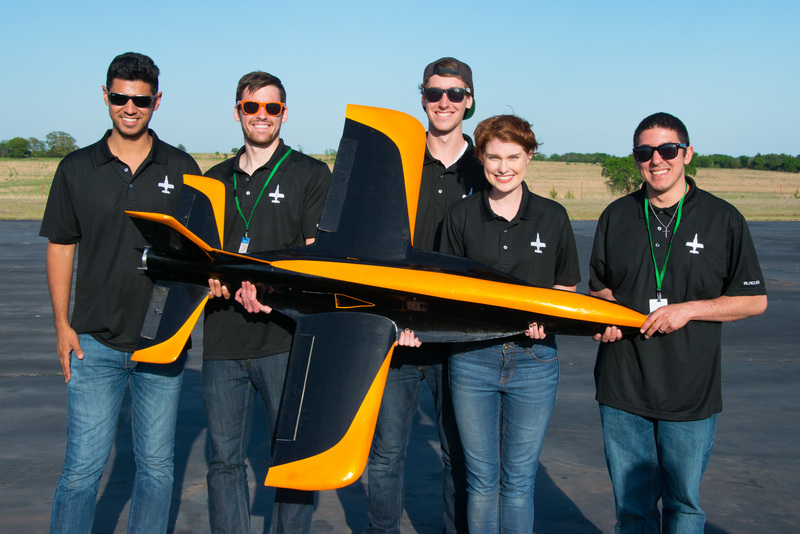 On April 23, 2016, the 2016 Black Team, unfortunately crashed a plane on their first flight of the day. 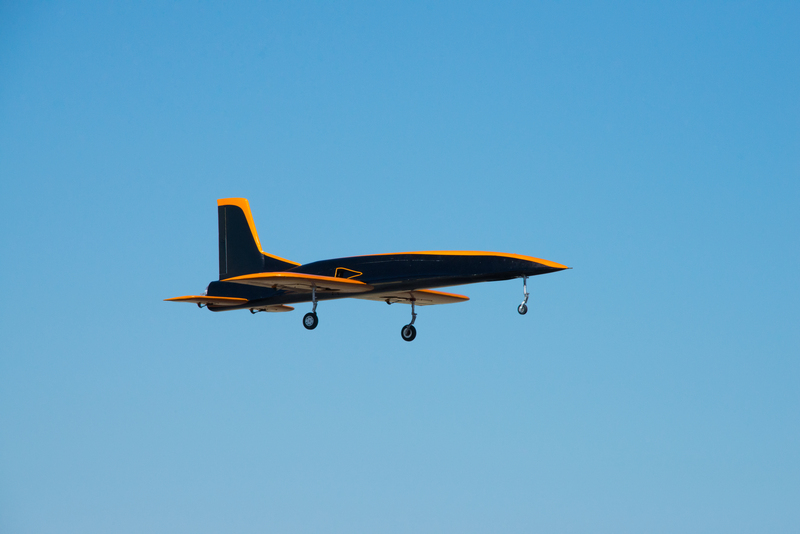 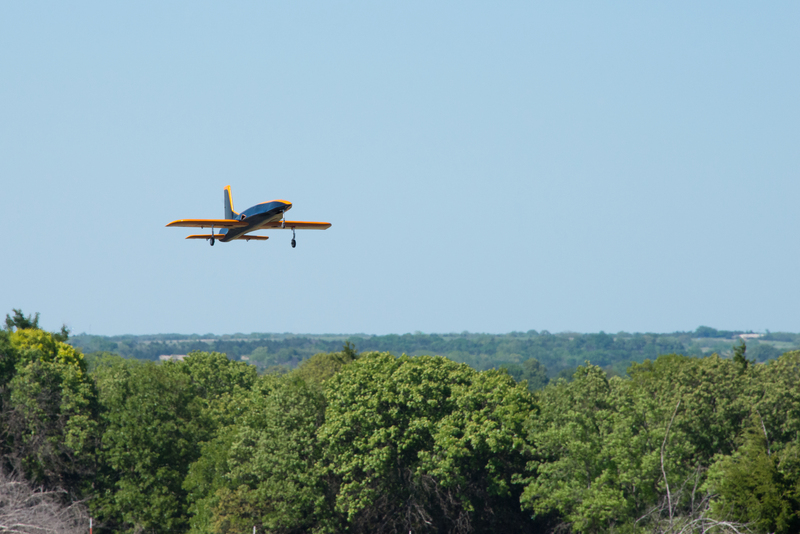 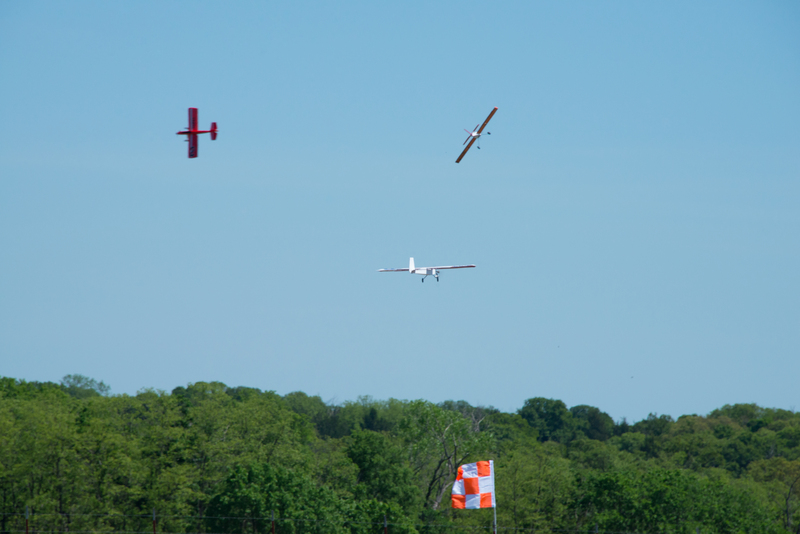 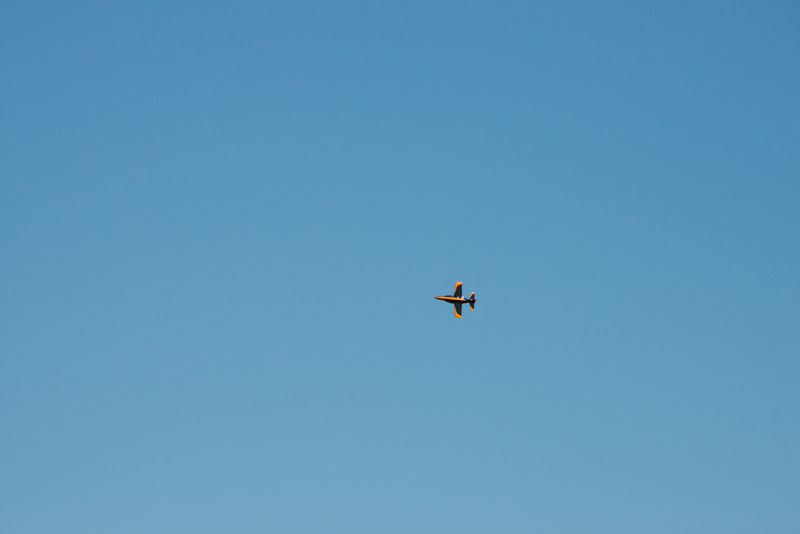 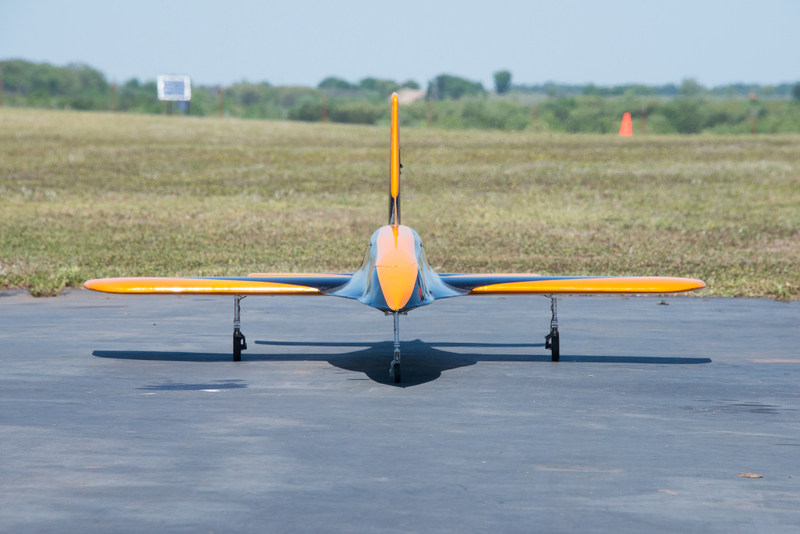 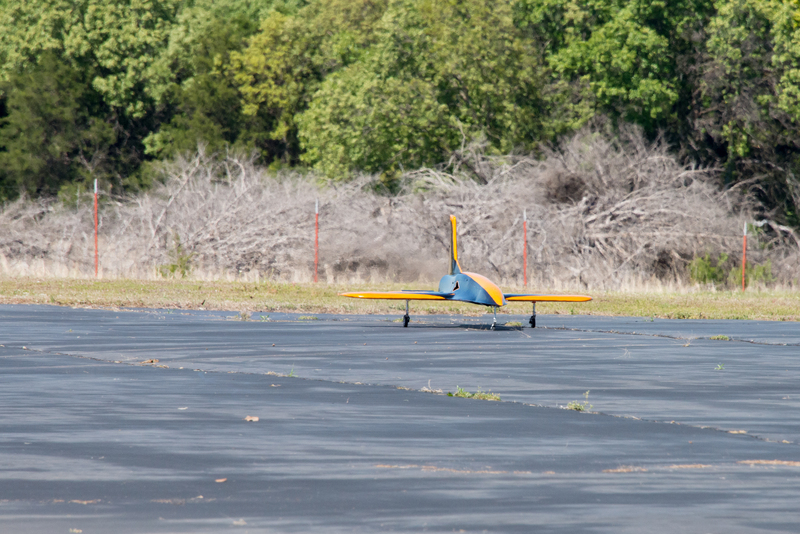 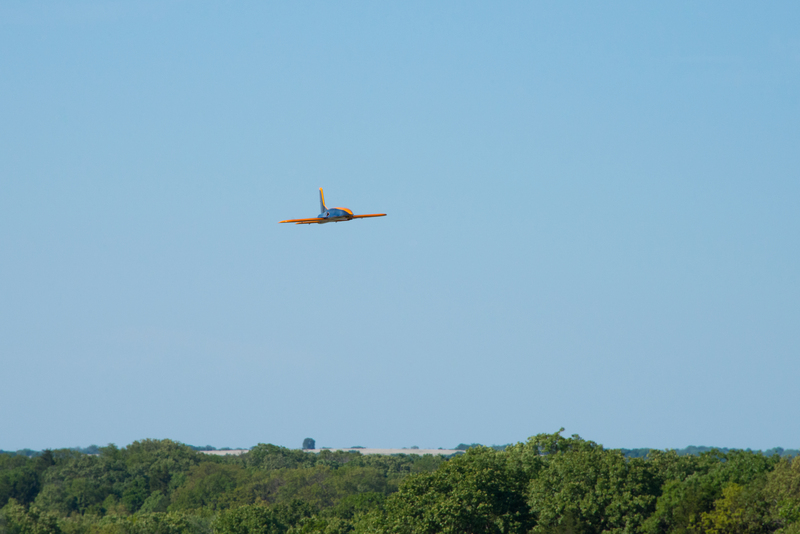 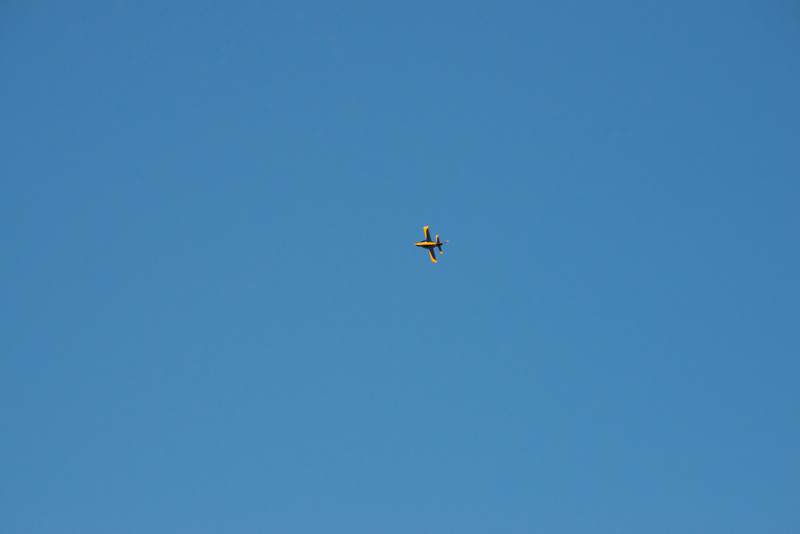 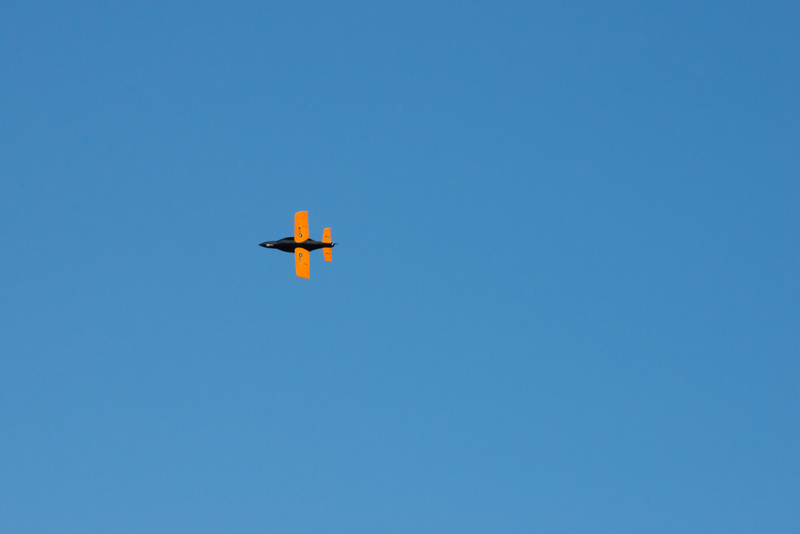 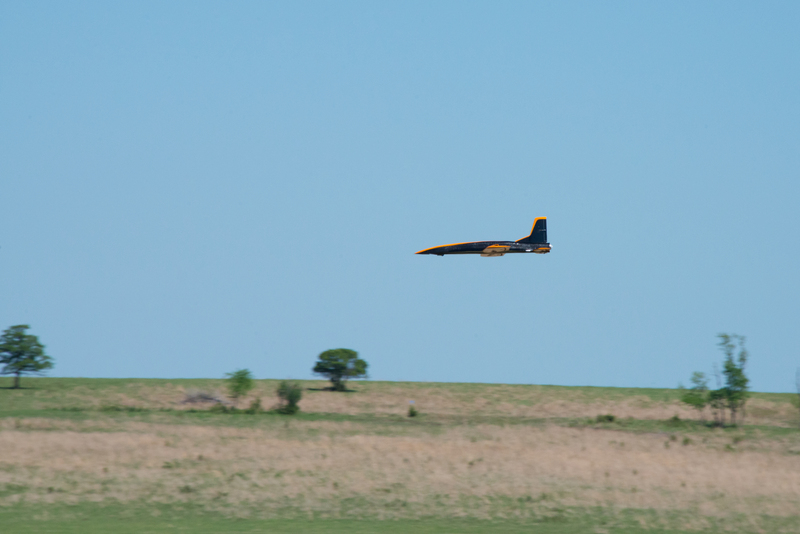 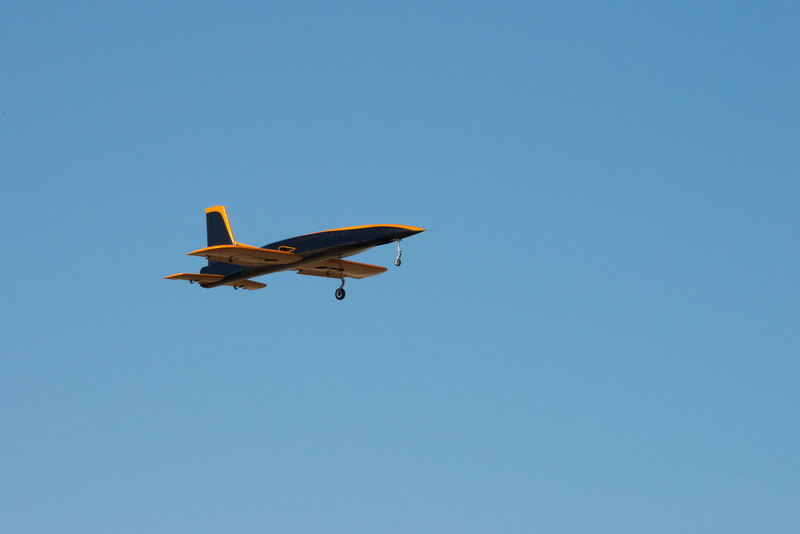 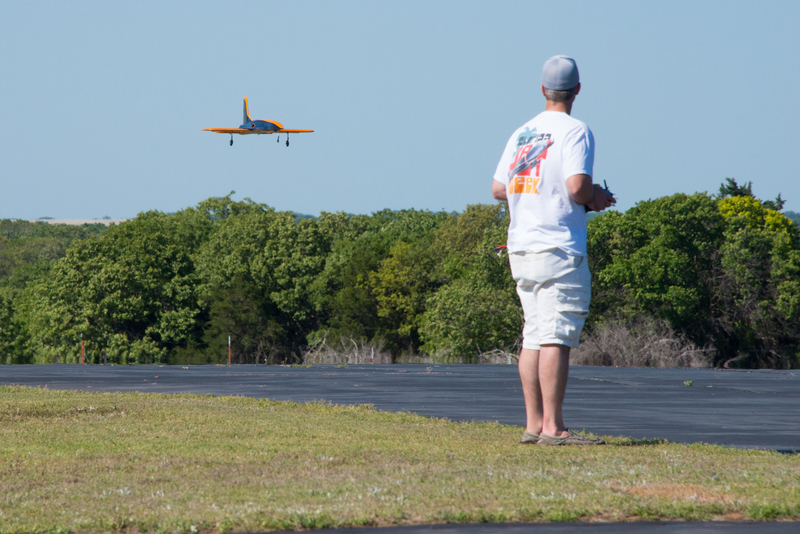 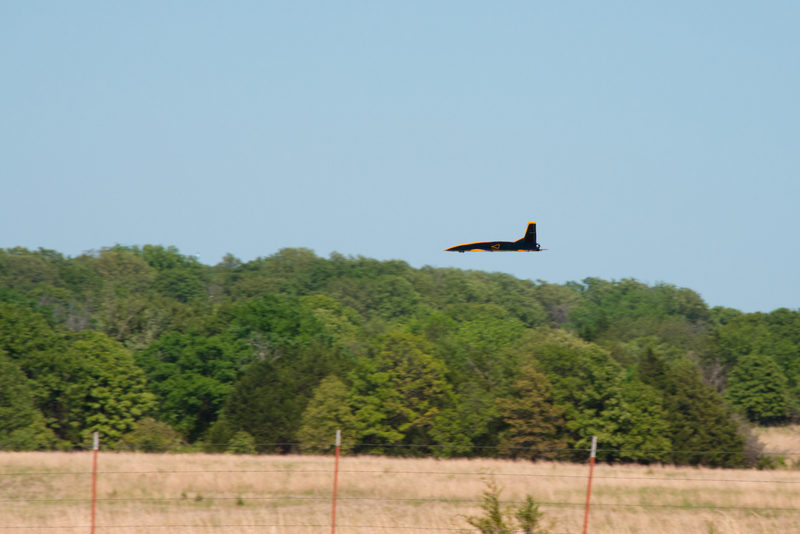 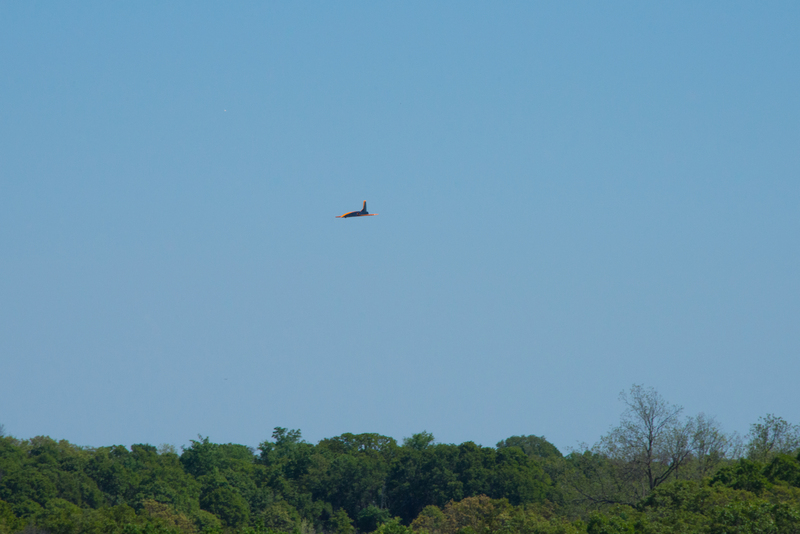 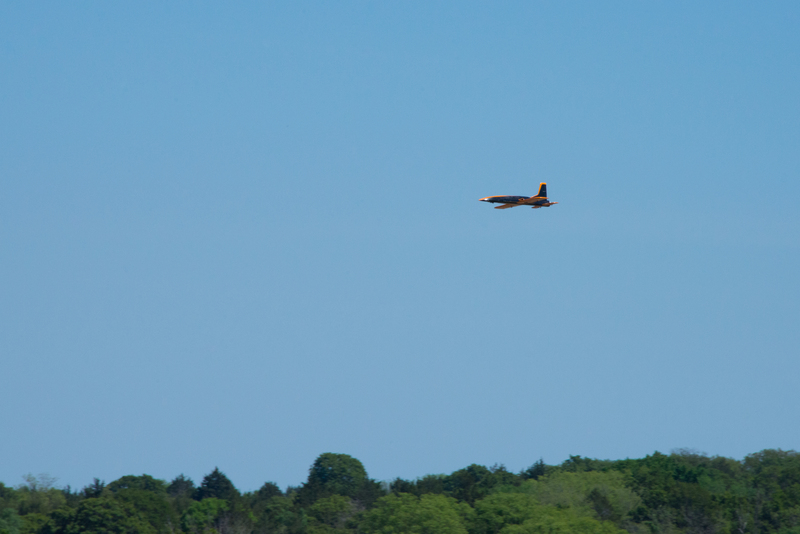 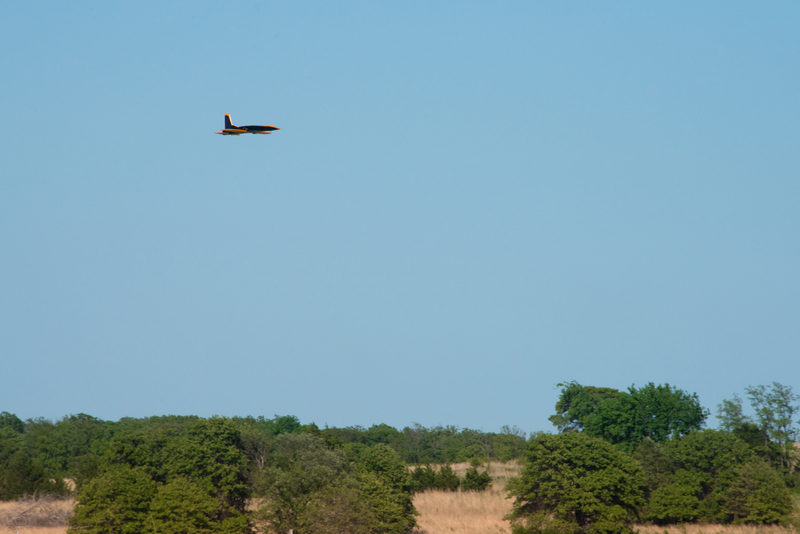 While the team was able to put a second plane,"Phantom Pete" up later in the day, they were not able to optimize the flights to win in several of the categories and finished second place that day. 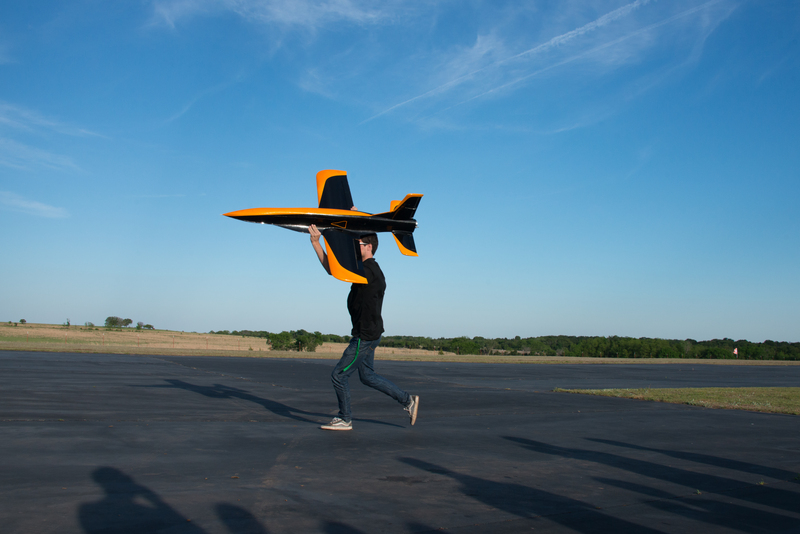 However, on April 28, 2016, "Phantom Pete" again took to the skies and proved its capabilities in all aspect of the design, particularly in the high alpha, thrust vectoring, and smoke features. 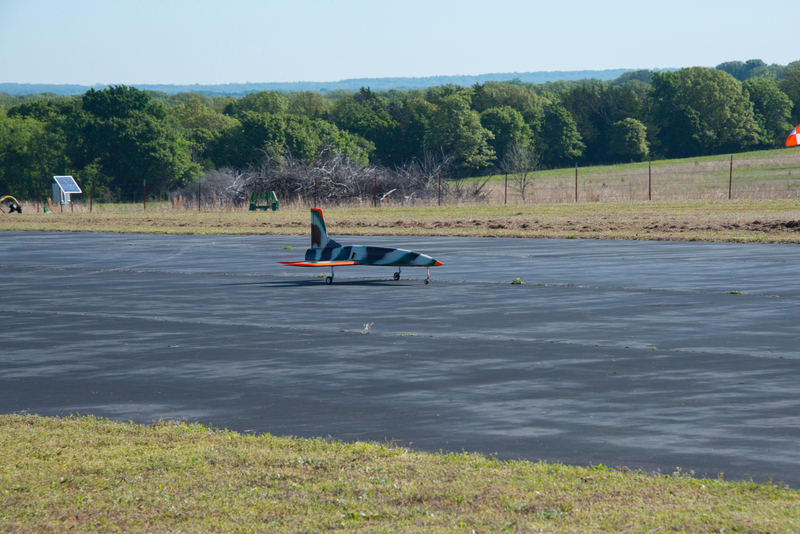 "How do I sell the tent on thrust vectoring?"-Volunteer. 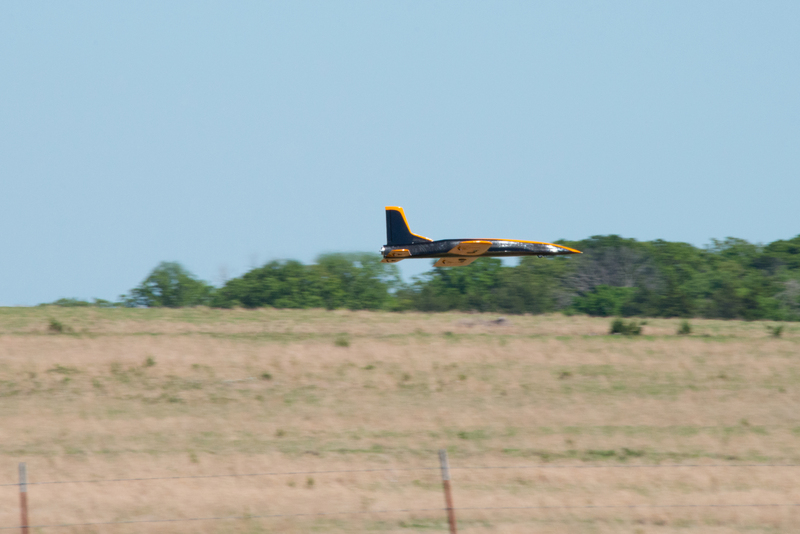 "THRUST VECTORING"-Everyone Else. 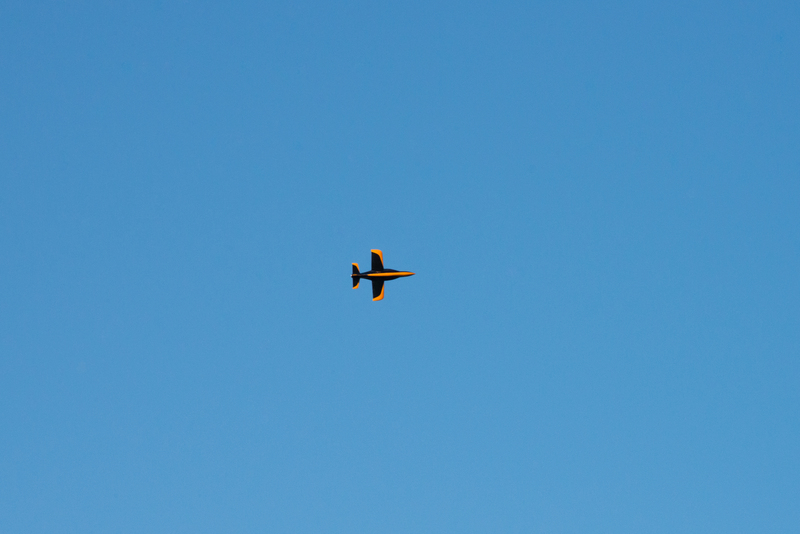 "Who sings this song (*Modern Pop Song Playing") at a Volunteer?" 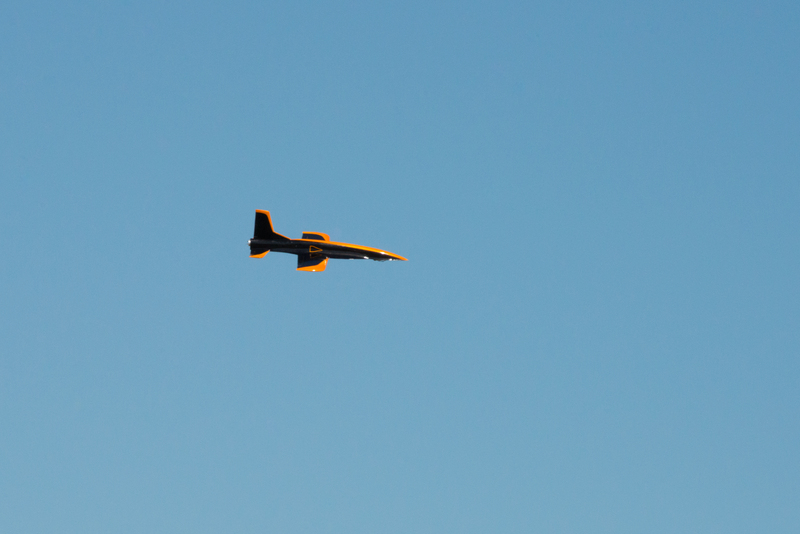 "The Beach Boys?-Volunteer "Get out of the DML…the future of aerospace doesn't look good"-Everyone Else. 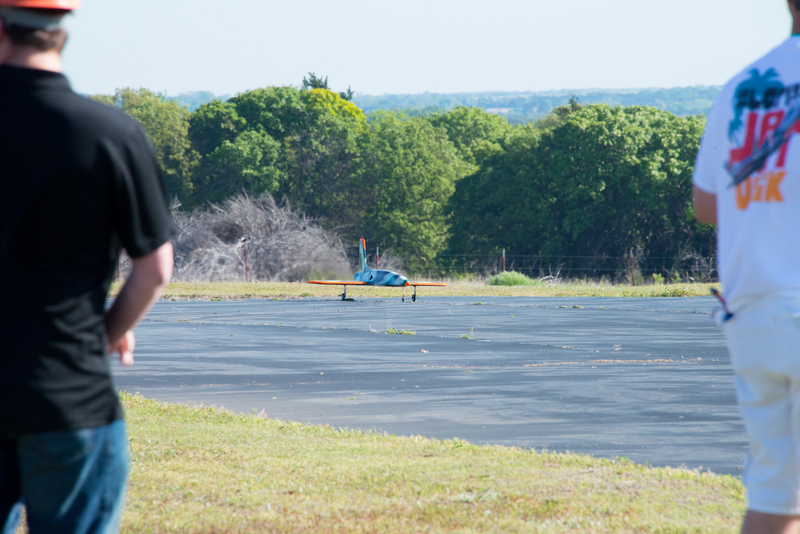 "That seems fine"-Team in reference to everything.